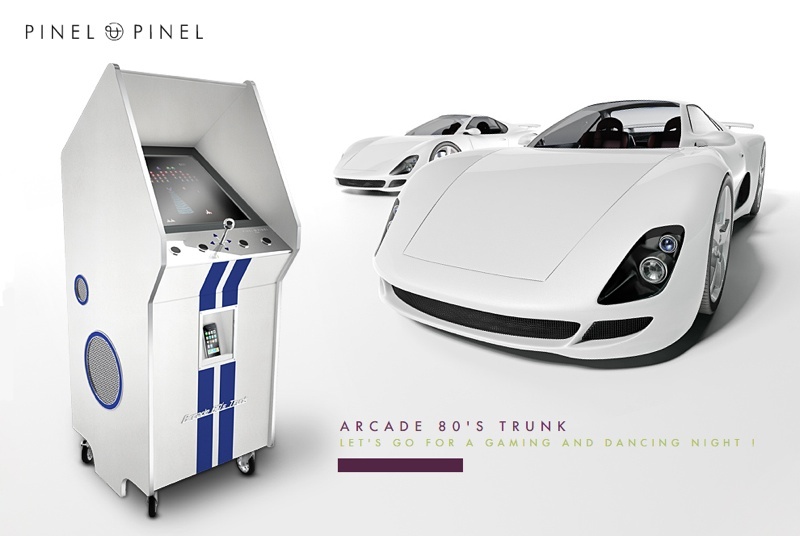 Pinel and Pinel‘s latest luxury trunk will bring back the 80’s in a new millenium sort of way. With a 1080p LCD screen, a high-end sound system and an iPod/ iPhone dock, the stitched calf leather trunk is available in 51 different color variations -or in Crocodile or Shagreen upon request. Loaded with 60 popular arcade games from the 80’s including Pacman, Space Invaders and Capcom, the 80’s Arcade trunk can be purchased in a Classic or GT version (painted with racing stripes). Both versions have chromium-plated dashboards, aluminum accents and rubber wheels. If only I had $17,416,00 USD..